We’ll design and install the ideal CCTV system for your premises. From conventional CCTV cameras to digital IP cameras, our expert installers can assess your requirements and provide the most appropriate CCTV security system for your premises. We carefully and continually analyse all the latest developments in the security industry, so you can rest assured that your CCTV system’s design will be based on an in-depth knowledge of all available solutions. We use state-of-the-art technology (encompassing digital recording, fibre optic transmission, radio transmission and computer monitoring) to provide contemporary solutions to today’s fast-changing marketplace. 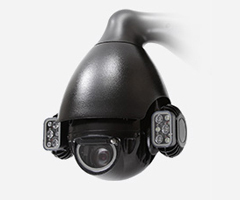 Many of our camera systems allow for the remote enabling of site facilities such as lights, doors, and gates. They can therefore potentially enable staffing to be reduced without the loss of quality or control. 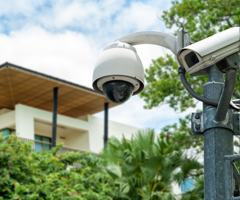 Systems integration allows you to combine your CCTV cameras with access control and intruder alarm systems in order to provide a comprehensive security package for your property. When you choose IDS to install your CCTV cameras, you can select a system starting anywhere on the ladder, from a simple one-camera system through to a multi-system, multi-site network. If you would like to see demonstrations of this or discuss the best option for your property, please contact us at our Cardiff office and we’ll make an appointment to come and see you. 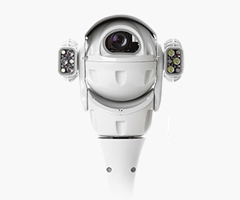 We design, install and maintain CCTV security systems across England and Wales. Contact us now to request a quotation. Call our Cardiff office on 029 20 753 251 for more information about any of the camera systems that we install.